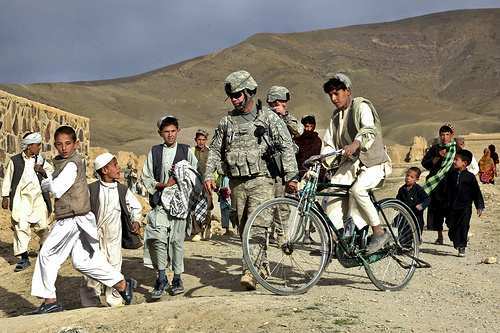 US Army Soldiers walk with Afghan children through the village of HeydarKheyl in Sayed-Abad district in Afghanistan’s Wardak province, on March 25, 2010. Photo via the US Army by Sgt. Russell Gilchrest.